Everest trekking is admissible the most famous of all trekking and mountain region in Nepal Himalaya. The prominent charm of this area are the majestic mountains, the high mountain village, the isolated monasteries and the local Sherpa people. Most importantly, the Everest region is the home to the highest mountain in the world, Mt. Everest at 8848m, as measured by the altitude of its summit above the sea level. Adventurous people all around the world dream to see the spectacular view of Everest from near, and the only way to view the Everest from near is by hiking/ trekking to the Everest region. 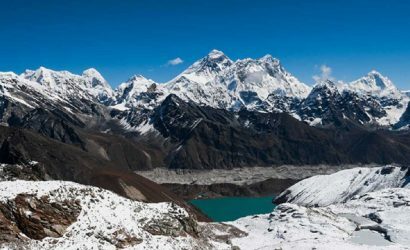 The Mount Everest trek offers a wide array of spectacular trekking options ranging from the Everest Base Camp trek which has also been listed one of the ten best trios in the world to trekking in remote semi-wilderness area. 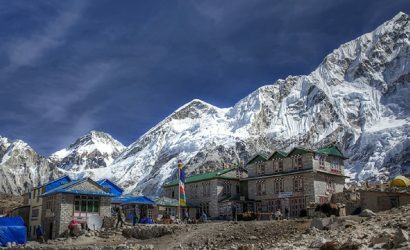 Throughout the Everest region, trekkers are overwhelmed with fantastic views of the highest peaks on planet earth and many Buddhist monasteries as well. Along with that, the snow clad mountains and various glaciers of this region touch the soul and mind of everyone. 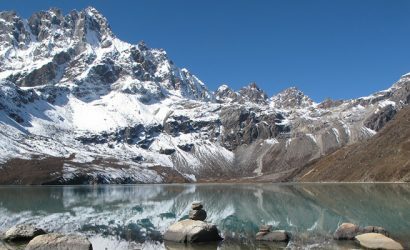 The prominent glaciers like Khumbu, Lotse, Imja, Ngozunba and Nangpa are the remarkable jewels of this area. 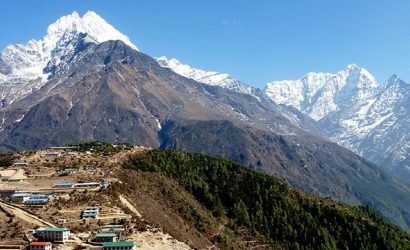 However remote it may be, Everest region is one of the most developed region with tourism infrastructure and attracts plenty of tourists every year. 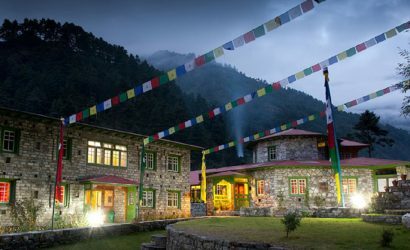 One of the most daring airports in the world, Lukla Airport, is the gateway for trekking tourists into this outstanding Himalayan valley. Everest region is also the region where the toughest endurance race “The World’s Highest Marathon” is held. This event has undoubtedly promoted this region worldwide with the spectacular downhill race that starts at Gorek Shep and finishes at Namche Bazaar. Besides many other annual events that take place here every year, this region is the demanding trekking destination for most trekkers for its fascinating natural scenery and beautiful mountains. 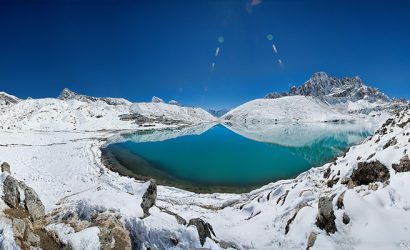 The must see place in this region is Sagarmatha National Park, which is the gift of Mother Nature in itself and the home of a rich cultural heritage. The park is also the home to the world’s renowned mountain-climbing people, the Sherpas. Along with that, in this region one can find many interesting wildlife including the Himalayan Tahr, Musk deer, Weasel, Ghoral, and Jackal. Birds found in this region are the Impeyan Pheasant (Danphe), red billed chough, yellow billed chough, snow pigeon and many more. To the east of Sagarmatha National Park lies the Makalu-Barun National park, a remote and wild stretch of mountain peaks and deep, densely forested valleys which is also no less stunning. Though the key preference for trekking to Everest region in Nepal is obviously the mountains, however, the region is astonishingly rich with many places worth an observation. The glaring beauty in the form of glacier lakes, dazzling rhododendron forests, native flora and fauna, charming villages and ancient Buddhist monasteries all add up to make this region an alluring tourist destination. 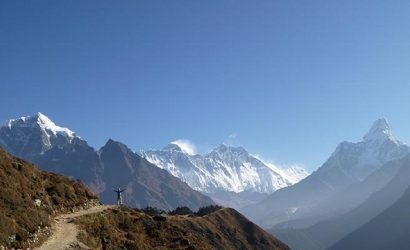 A paradise for trekkers searching for landscape diversity and clam, Nepal is one of the most popular destinations for traveller that offer breath-taking and enthralling trekking routes. The panoramic Himalayan ranges of Nepal swear incredible and exciting trips. The rugged beauty of these lofty mountains encourages travellers/ trekkers/ mountaineers or tourists from all over the world and gives an unforgettable experience by taking them to some unexplored trails of mountain environment. Recently, British Magazine wrote that Nepal offers best trekking trail in the world and it is listed as one of the best place that one must visit before dying, among other fifty. With eight of the top ten highest summits in the world, Trekking in Nepal is one of the unique experiences in Asia. Tours to the mountains in Nepal signify not only the natural beauty, but also a source of spiritual guidance as well. The loftiness and beauty of the Himalayas provide fascinating opportunities for trekkers. 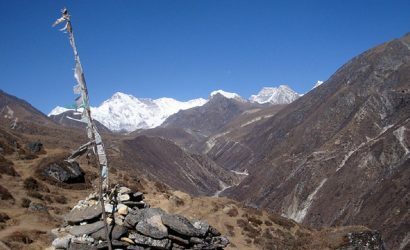 Nepal trekking offers various circuits in various regions of Nepal. Due to varied geographical structure, a trekker can do a short trek around Kathmandu and Pokhara valleys which only take a day to complete, to the longest trek up to 90 days. All these treks offer different experience with people, culture, landscape, flora and fauna, wild animals, birds and spectacular view of many mountains across the Himalaya. The Everest and Annapurna regions are the most popular destinations for trekkers in Nepal, though Jomsom-Muktinath, Langtang, Helambu along with many others have interesting trekking routes as well. Altogether, there are more than 100 trekking routes in Nepal. Trekking in Nepal does not always mean a really difficult walk. Instead, there are many trekking trails where people can trek depending on their interest, ability and physical condition. Nepal trek has been graded into 4 major categories as easier treks, medium-effort treks, harder treks, and challenging mountaineering treks which depends on their location, duration and elevation. Since trekking involves walking for many days, a trekker needs food and accommodation along the way. Two different types of trekking have their own identity; tea house trekking and camping trek. 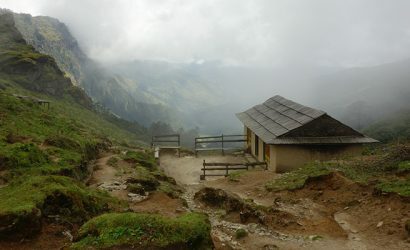 Tea house trekking is the one in which accommodation and meals during treks are provided in a tea house or a lodge. Services of tea house can be as simple as providing Nepali meals and warm accommodation to long list of hygienic menus to cozy room for overnight. Camping treks, on the other hand, is the classical style of trekking types in Nepal which can be conducted almost anywhere in the country. Camping treks can be fully organized and supported with a team of guides, cooks and porters as well. So, if you love adventure, getting high up amongst the highest mountain range on earth or you are someone who prefers walking peacefully along a path in a quiet valley with eagerness to discover and acquire more knowledge, then Trekking in Nepal is the right option for you.